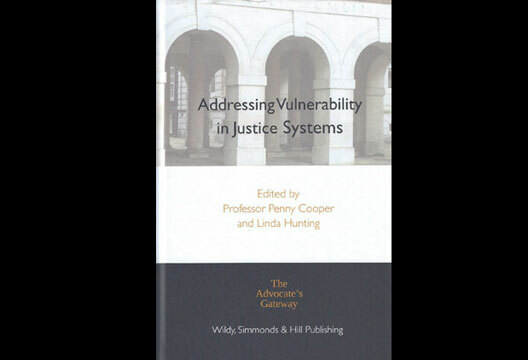 Addressing Vulnerability in Justice Systems, by Penny Cooper & Linda Hunting (Eds. ), reviewed. Seventeen years ago regarding the investigative interviewing of vulnerable people Becky Milne and I said in our book that ‘no…research exists… Something must be done about this’. During the intervening years some steps have been taken to improve matters. In 2002 the government in England and Wales first published relevant guidance (largely based on psychological research and called ‘Achieving Best Evidence’). More recently, after novel work in South Africa, it introduced the use of intermediaries to assist communication between vulnerable persons and the police/courts. Furthermore, the Advocacy Training Council recently established ‘The Advocate’s Gateway’ (TAG) to improve the justice systems’ approach to vulnerable victims, witnesses and defendants – who are overrepresented in such systems. This book contains chapters relating to the TAG’s first conference, some of which mention the growing body of relevant knowledge derived from work by psychologists on (i) how inexpertly vulnerable people are questioned by untrained police and advocates and (ii) what psychological research tells us about the contents of relevant training. One key psychological chapter mentions a recent case in which the Court of Appeal said that judges have a duty to intervene when questioning is poor (a topic that for several years I presented on to Scottish judges, informing them of psychological research on what actually are poor questions). Some chapters focus more on ‘the law’ and here the co-editors could have been more assertive in guiding authors away from repetition. A chapter mentions the next challenge for psychologists, which is to conduct research to help improve the use of interpreters – in a parlous state around the world. Another demonstrates how sketching helps vulnerable people to recall.